"Unto the Churches of Christ everywhere"
"Love one another earnestly from the heart." Even if in this case, owing to antiquated prejudices, practices or pretensions, the difficulties which have so often jeopardized attempts at reunion in the past may arise or be brought up, nevertheless, in our view, since we are concerned at this initial stage only with contacts and rapprochement, these difficulties are of less importance. If there is good will and intention, they cannot and should not create an invincible and insuperable obstacle. Wherefore, considering such an endeavor to be both possible and timely especially in view of the hopeful establishment of the League of Nations we venture to express below in brief our thoughts and our opinion regarding the way in which we understand this rapprochement and contact and how we consider it to be realizable; we earnestly ask and invite the judgment and the opinion of the other sister churches in the East and of the venerable Christian churches in the West and everywhere in the world. We believe that the two following measures would greatly contribute to the rapprochement ' which is so much to be desired and which would be so useful, and we believe that they would be both successful and fruitful: First, we consider as necessary and indispensable the removal and abolition of all the mutual mistrust and bitterness between the different churches which arise from the tendency of some of them to entice and proselytize adherents of other confessions. For nobody ignores what is unfortunately happening today in many places, disturbing the internal peace of the churches, especially in the Exist. So many troubles and sufferings are caused by other Christians and great hatred and enemity are aroused, with such insignificant results, by this tendency of some to proselytize and entice the followers of other Christian confessions.After this essential reestablishment of sincerity and confidence between the churches, we consider, Secondly, that above all love should be rekindled and strengthened among the churches, so that they should no more consider one another as strangers and foreigners, but as relatives, and as being a part of the household of Christ and "fellow heirs, members of the same body and partakers of the promise of God in Christ" (Eph. 3. 6). For if the different churches are inspired by love and place it before everything else in their judgments of others and their relationships with them, instead of increasing and widening the existing dissensions, they should be enabled to reduce and diminish them. By stirring up a right brotherly interest in the condition, the well-being and stability of the other churches; by readiness to take an interest in what is happening in those churches and to obtain a better knowledge of them,and by willingness to offer mutual aid and help, many good things will be achieved for the glory and the benefit both of themselves and of the Christian body. In our opinion, such a friendship and kindly disposition towards each other can be shown and demonstrated particularly in the following ways: By the acceptance of a uniform calendar for the celebration of the great Christian feasts at the same time by all the churches. 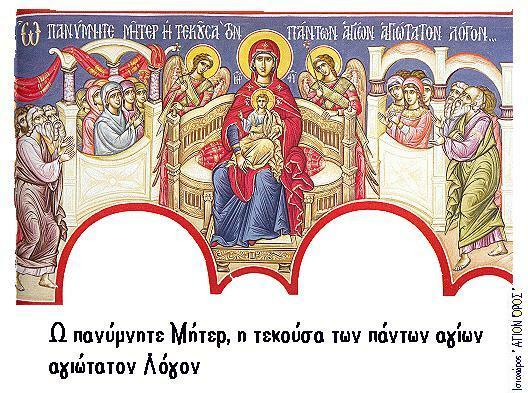 By the exchange of brotherly letters on the occasion of the great feasts of the churches' year as is customary, and on other exceptional occasions. By close relationships between the representatives of all churches wherever they may be. By relationships between the theological schools and the professors of theology; by theexchange of theological and ecclesiastical reviews, and of other works published in each church. By exchanging students for further training between the seminaries of the different churches. By convoking pan-Christian conferences in order to examine questions of common interest to all the churches. By impartial and deeper historical study of doctrinal differences both by the seminaries and in books. By mutual respect for the customs and practices in different churches. By allowing each other the use of chapels and cemeteries for the funerals and burials of believers of other confessions dying in foreign lands. By the settlement of the question of mixed marriages between the confessions. Lastly, by wholehearted mutual assistance for the churches in their endeavors for religious advancement, charity and so on. Such a sincere and close contact between the churches will be all the more useful and profitable for the whole body of the Church, because manifold dangers threaten not only particular churches, but all of them. These dangers attack the very foundations of the Christian faith and the essence of Christian life and society. For the terrible world war which has just finished brought to light many unhealthy symptoms in the life of the Christian peoples, and often revealed great lack of respect even for the elementary principles of justice and charity. Thus it worsened already existing wounds and opened other new ones of a more material kind, which demand the attention and care of all the churches. Alcoholism, which is increasing daily; the increase of unnecessary luxury under the pretext of bettering life and enjoying it; the voluptuousness and lust hardly covered by the cloak of freedom and emancipation of the flesh; the prevailing unchecked licentiousness and indecency in literature, painting, the theater, and in music, under the respectable name of the development of good taste and cultivation of fine art; the deification of wealth and the contempt of higher ideals; all these and the like, as they threaten the very essence of Christian societies are also timely topics requiring and indeed necessitating common study and cooperation by the Christian churches. Finally, it is the duty of the churches which bear the sacred name of Christ not to forget or neglect any longer his new and great commandment of love. Nor should they continue to fall piteously behind the political authorities, who, truly applying the spirit of the Gospel and of the teaching of Christ, have under happy auspices already setup the so-called League of Nations in order to defend justice and cultivate charity and agreement between the nations. For all these reasons, being ourselves convinced of the necessity for establishing a contact and league (fellowship) 1 between the churches and believing that the other churches share our conviction as stated above, at least as a beginning we request each one of them to send us in reply a statement of its own judgment and opinion on this matter so that common agreement or resolution having been read, we may proceed together to its realization, and thus "speaking the truth in love; may grow up into Him in all things, which is the head, even Christ; from whom the whole body fitly joined together and compacted by that which every joint supplieth, according to the effectual working in the measure of every part, maketh increase of the body unto the working in the measure of every part, maketh increase of the body unto the edifying of itself in love." (Eph.4: 15,16).